Posted on 29th January 2019 at 17:00. 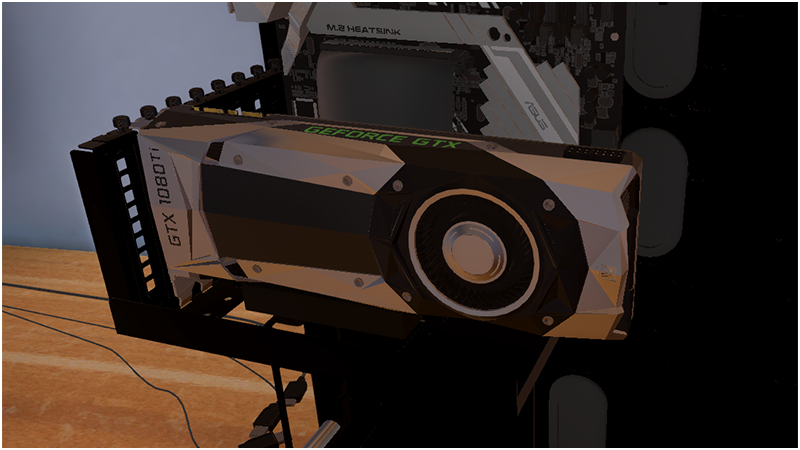 GPUs from NVIDIA need little introduction, but we are incredibly pleased to be able to include the Founders Edition GPUs of the GeForce GTX 10 series. This includes the GeForce GTX 1060, GTX 1070, GTX 1070 Ti, GTX 1080 and GTX 1080 Ti. In addition to these it also includes our first RTX GPUs in the form of the Founders Edition GeForce RTX 2070, RTX 2080 and RTX 2080 Ti! 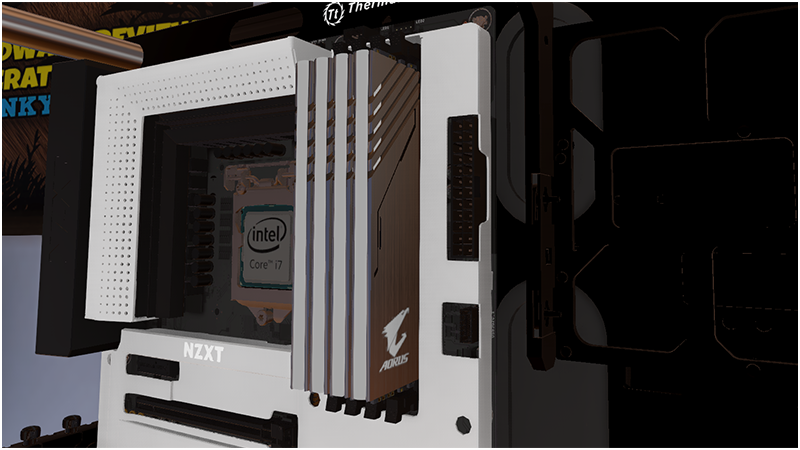 Thermaltake have been a much requested addition to the game for a while so we are very pleased to be including them in this release with a selection of some of their most popular parts such as the stunning View 37 and View 91 cases along with superb cooling solutions like the Riing Plus RGB LED case fans. 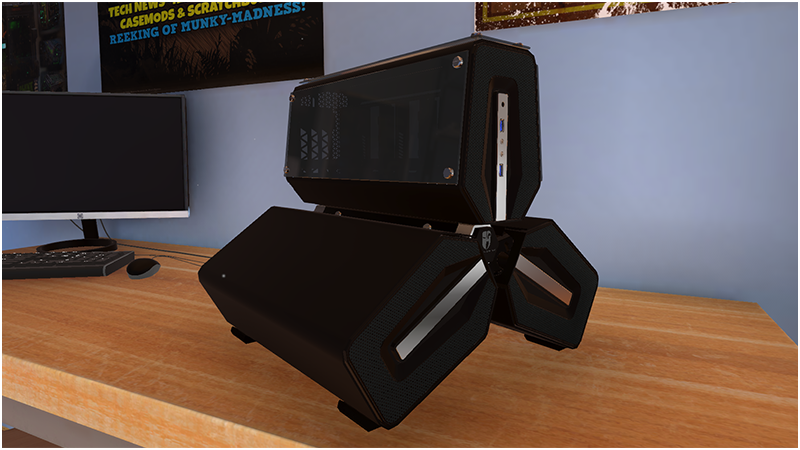 Deepcool and their GamerStorm brand are exciting new additions to the game bringing with them some unique case designs we haven’t been able to include until now. 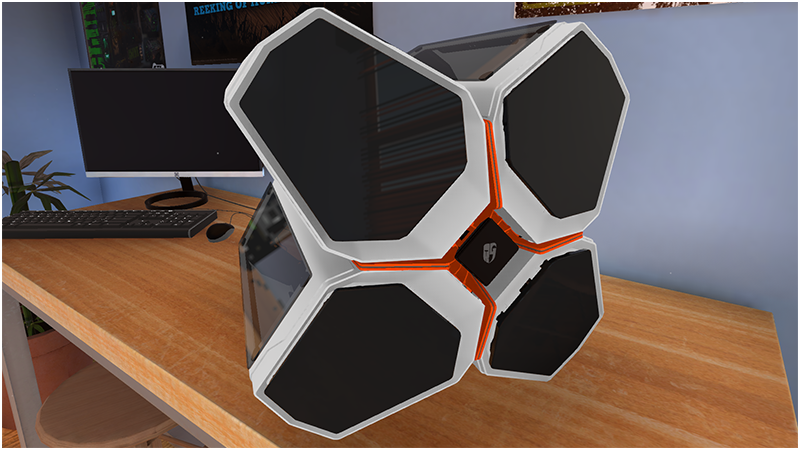 The striking Quadstellar and Tristellar SW case designs are a must for any high specification build! Alongside these they also bring with them their expertise in cooling, with a range of CPU coolers and case fans, including the open-frame MF120. It isn’t just new parts in this release though, the whole team has been working hard to fix up as many bugs as possible and polishing up areas that needed further love before we shed our early access banner. To celebrate the exit of Early Access we commissioned the super talented Brock Hofer (creator of the Hyper Beast designs) to create 2 exclusive pieces of new case artwork for the NZXT H500 and H700, these two new case designs plus the complete original soundtrack make up the Overclocked Edition version of PC Building Simulator. Unlocked once you reach level 10 in Career mode, this new mode accessed from the main menu removes many of the guides you regularly get to help you build. These need little introduction but Steam Achievements are now live for players to collect and earn, there are 53 in total. Included in these are suggestions made by our community in a competition we ran last year. We have completed work on the soundtrack for the game which means another 6 brand new original tracks are now included (one special track in particular), bringing the total track listing to 10. Remember, If you would like to own this soundtrack outside of the game you can now also purchase it via picking up the Overclocked Edition DLC. 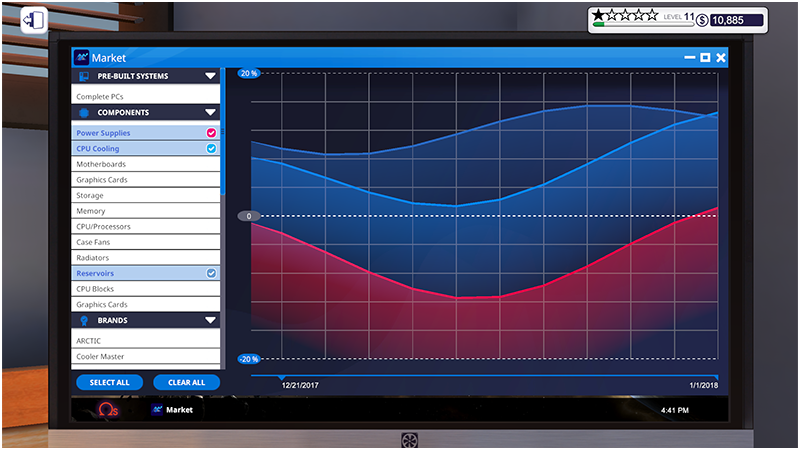 Some applications have had a new coat of paint, there are new icons for the GPU Tuner, Bongle and Market app plus whole new looks for Bongle and Market apps. 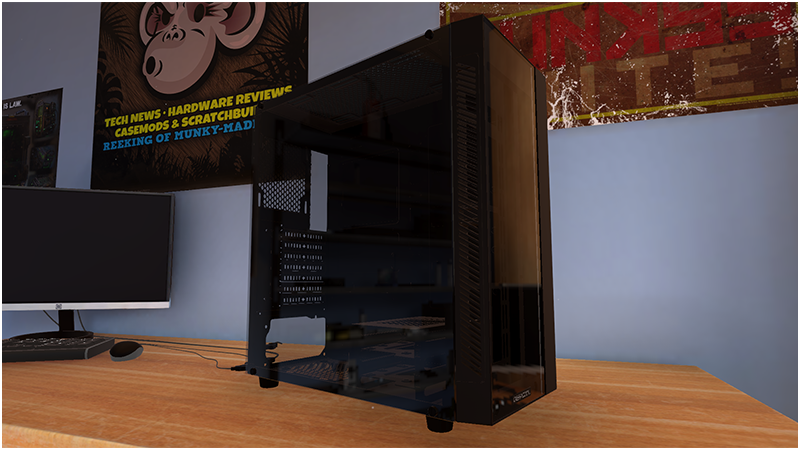 Overclocked Edition Cases: NZXT H500 – Re-Animator (26) and NZXT H700 – Extinction Wars (27). New PSUs: GAMERSTORM DQ650-M / DQ750-M / DQ850-M (24), THERMALTAKE Smart Pro RGB 850W (26), THERMALTAKE Toughpower iRGB PLUS 1200W (29), CORSAIR AX1600i (26), CORSAIR RM850x (13), CORSAIR RM750i (13), CORSAIR HX1000 (29) and GIGABYTE AORUS P750W / AORUS P850W (14). Added 5 new Career story job chains. Added assorted spam type emails. Added Hard Mode, unlocked once you reach level 10. Added 6 new music tracks and remastered existing tracks to final quality. Replaced GPU Tuner, Bongle and Market icons with final versions. Replaced art for Bongle and Market applications. Replaced game controller button artwork. 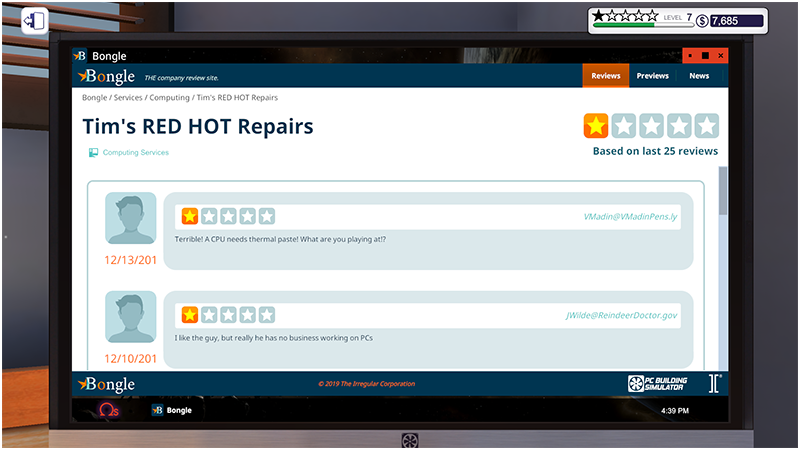 Added game credits that roll once you own 100% of the business. Added language selection to options menu. Added an option to Disable Razer Chroma support to options menu. 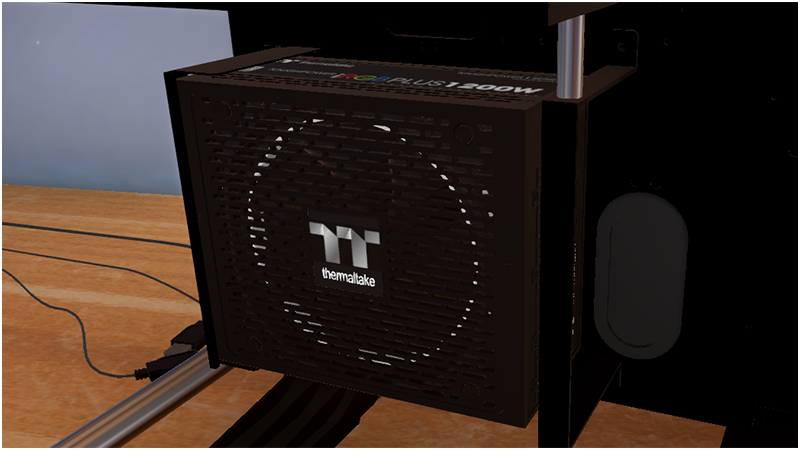 Completed support for vertical GPUs in cases that naturally support it. 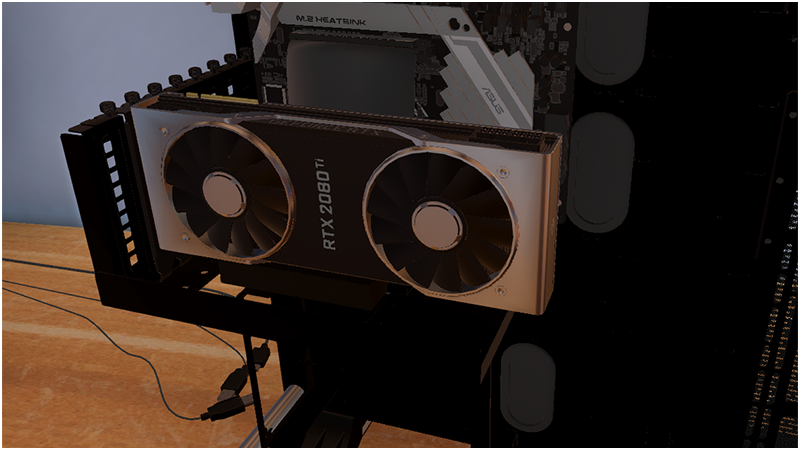 This should fix most of the bugs you might of seen in the last release surrounding vertical GPU mounting on various cases. 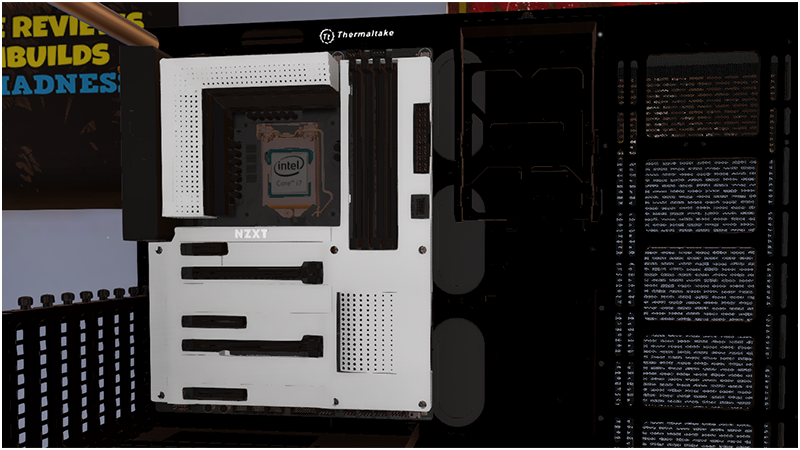 Improved the detail of the AM4 socket on all supported motherboards. Fixed an issue that could cause the wrong type CPUs being installed in the wrong sockets. Fixed an issue where you could accidentally destroy a build job post-it if you had more than one build job in progress. Fixed an issue where sometimes purchased items were vanishing from players inventories. Fixed an issue that could cause advancing to the next day to fail. Fixed various alignment issues with SLI bridges. Fixed an issue where SLI PC’s could be generated with power supplies unable to support them correctly. Fixed an issue where viruses would still be present even if you installed a new storage device. Fixed the duplicated CPU bracket on the EVGA Z270 FTW K.
Fixed an issue that could cause the first job reward to be collected multiple times. Fixed not being able to connect the case power cable in the EVGA DG-84 and DG-85 cases. Fixed GPU screws installing in the wrong place on the EVGA DG-7 series cases. Fixed the lower case fans in the SilverStone RVZ03 being installed the wrong way around. 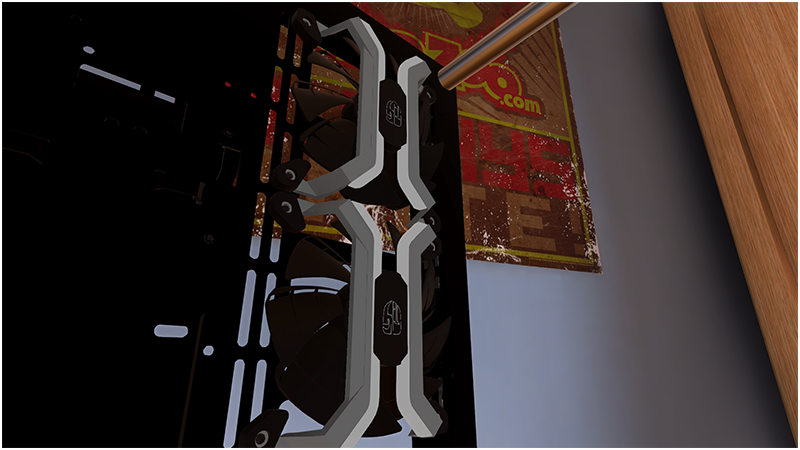 Fixed a space related issue that could stop some smaller AIO coolers being able to fit in the Raijintek Thetis when using dual GPUs. Fixed an issue with the cable on the Arctic Freezer 33 being hard to select when trying to remove it. Fixed an issue with AIO Coolers not installing in the rear location of the SilverStone RL07 case. Fixed missing black border around the edge of the NZXT H400 glass panel. Fixed custom water cooling connections appearing on AIO coolers. Fixed an issue where HDDs would clip through the PSU shroud on the Antec DF500 case. Fixed various issues where some parts would block others unnaturally, there is a new technique in place to handle blocking and while we have fixed lots of issues there is always a chance of more due to the wide array of possible configurations! We will continue to fix any that get reported. Fixed some routing issues with Custom Loop piping. Fixed the Auto-Screw tool from also installing stand-offs. Fixed various formatting issues in 3DMark. Fixed a whole load of cable clipping issues. 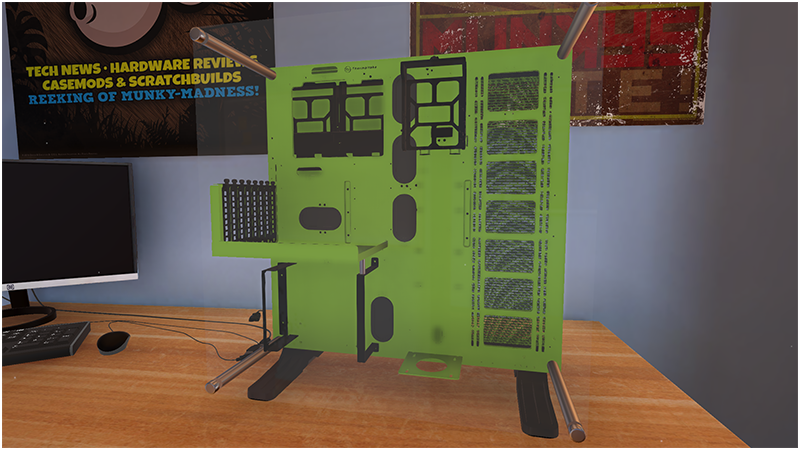 A quick note on these: Cables are a tricky business in PC Building Simulator due to the wide range of configurations of parts we now have, we are always looking to fix as many as possible but some smaller issues are currently unavoidable. We will continue to fix what ones we can. Fixed various text overlap issues in various languages. 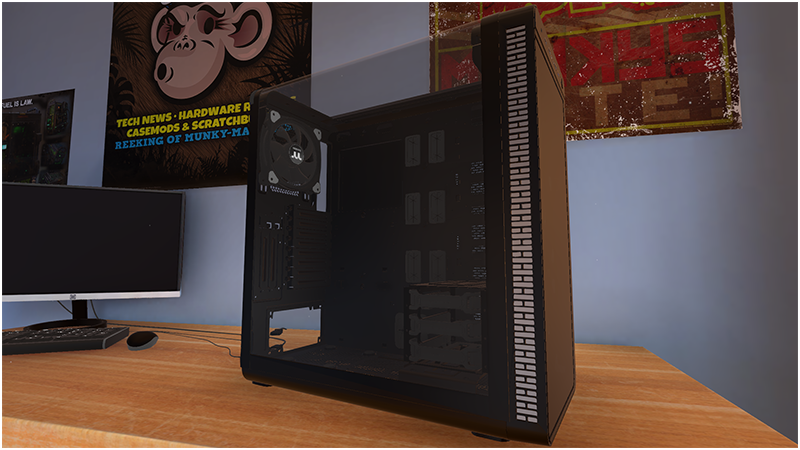 If the last 10 months has taught us anything with PC Building Simulator it’s that big updates always come with new issues (even with all the testing we do!) so we will be keeping a close eye on any urgent issues and addressing them as soon as we can. More interestingly though, we have another new partner in the works plus we are currently looking at a much requested feature – peripherals! We know lots of you really want to swap things like keyboards, mice and even monitors so we are looking to see if this is something we can add in a future update. Thanks as always for all the support we have had during Early Access and we hope that continues as we enter the next chapter of the game!